Summer time means pools and swimming. Who doesn’t want to cool off on a hot summer day in a nice cool pool and swim away your troubles? I’ve had Mermaids on the brain all week. So that is why this week’s feature Freebie Friday is Mermaids. If you can’t be you, be a mermaid. Now your planners can be part of the Mermaid Gang too. 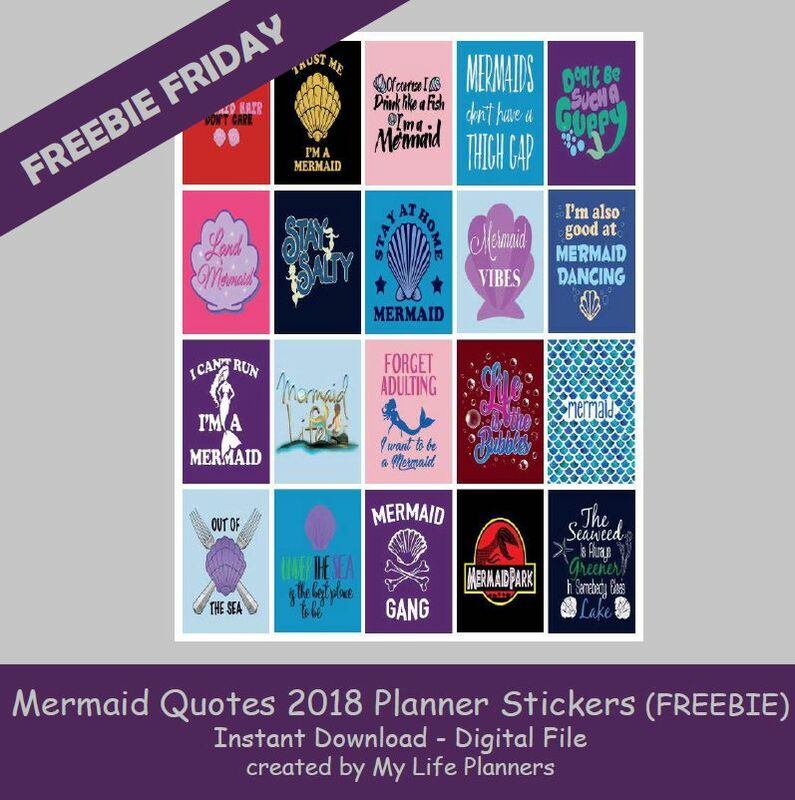 In case you missed Mermaid Quotes 2017 Planner Stickers you can revisit and download them from here.